A peaceful lakeside retreat offers beautiful views of a quiet lake. The home is perched on the side of a hill and transitions towards the water with multi level travertine terraces. 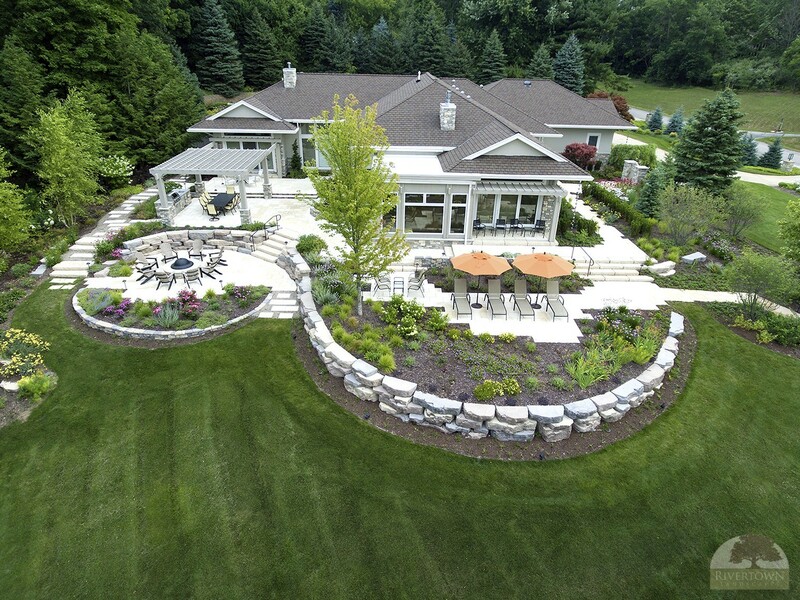 Our landscape architect used the spatial proportions and details of the home to extend the space to the outside. 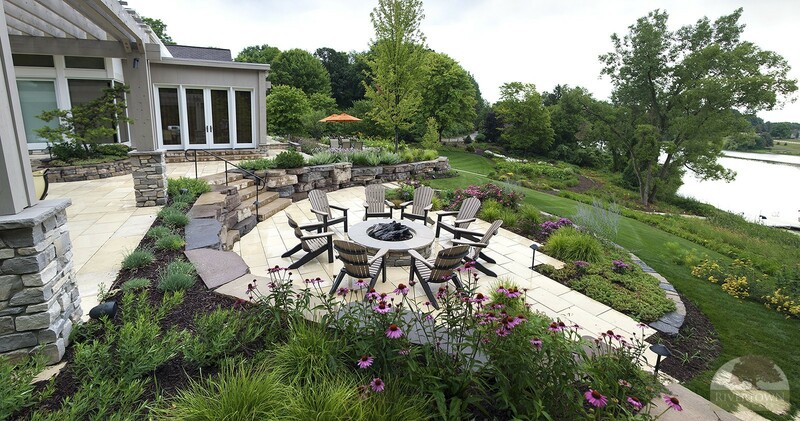 Outdoor spaces meander gracefully around the home and take advantage of the site’s natural slopes. 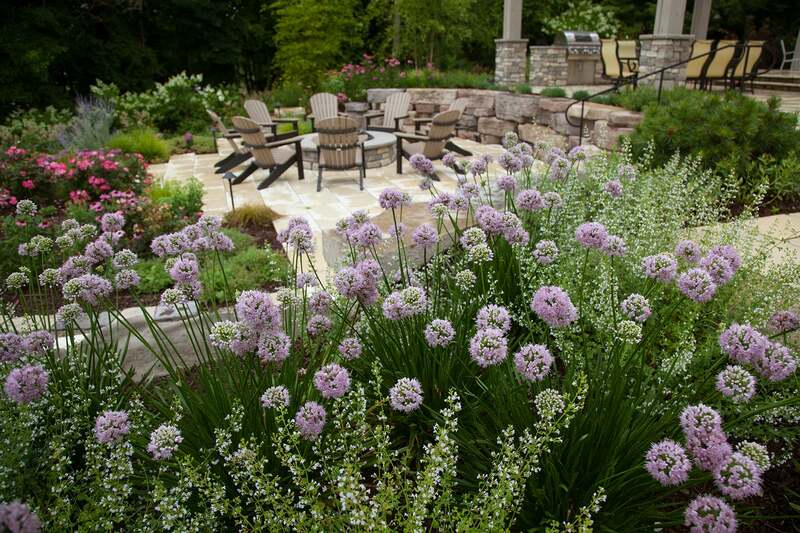 The results are patio and garden areas that flow freely, offering a generous variety of spaces for entertaining. 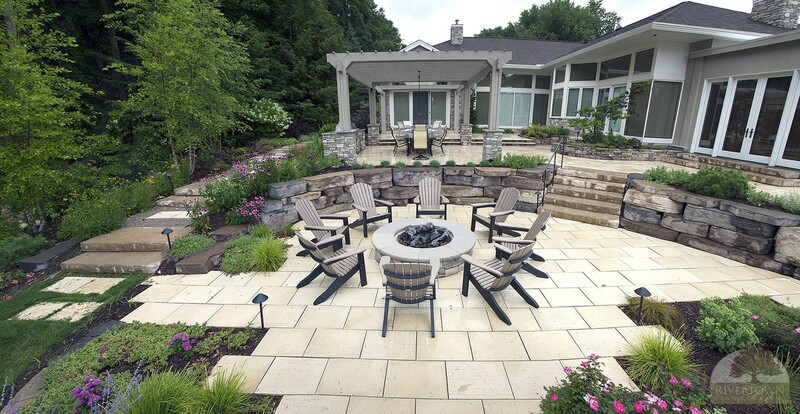 An outdoor kitchen and dining room feeds down to a lower fire pit patio for enjoying summer evenings and sunsets. The site presented a problem of a knoll obstructing the lake view. 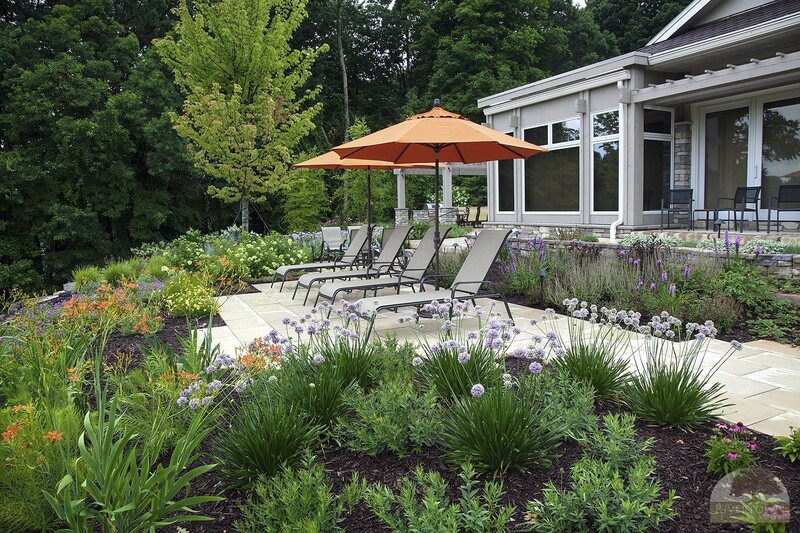 By lowering the sunning patio, this issue was resolved by the Landscape Architect and client. 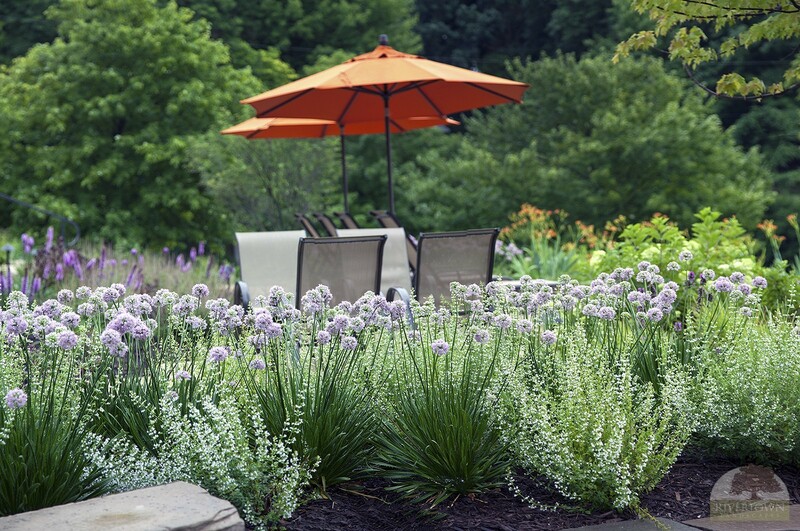 Lush gardens were created with the use of mass plantings of native shrubs and perennials. 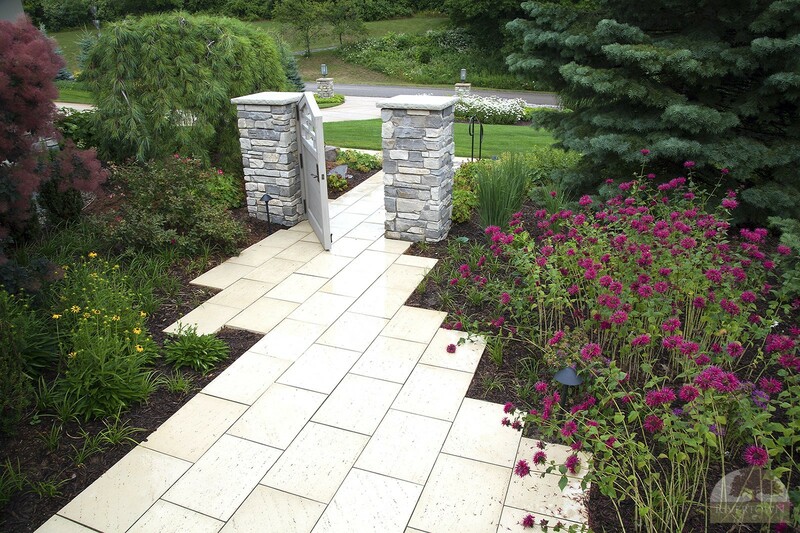 A walkway flows around the home to a gate welcoming home friends and family. 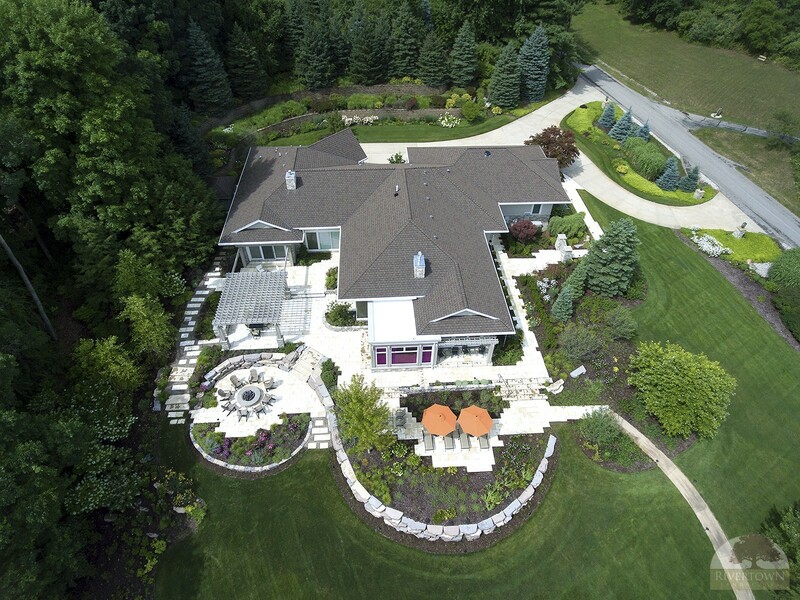 The sound system and outdoor lighting completes the atmosphere of rest and relaxation.